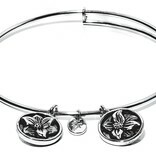 Chrysalis Violet Expandable Bangle. 7 to 8.5 inches. Violet - February flower. 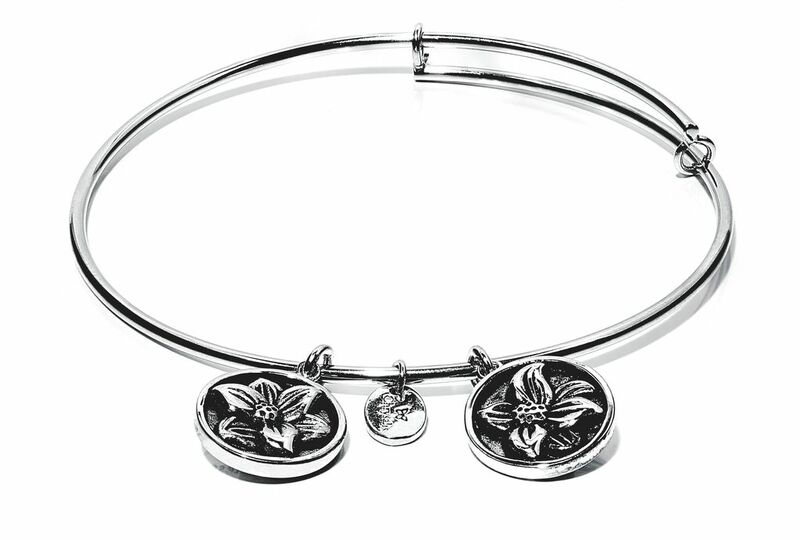 A true guardian, by wearing your violet flower bangle you will feel safe and protected from all that makes you uneasy. A talisman of love and faithfulness, the bangle will allow your inner light to shine in a way that cannot be explained in words.